Sakai Guides and DocumentationSakai Complete User Guide ForumsHow do I moderate a topic? 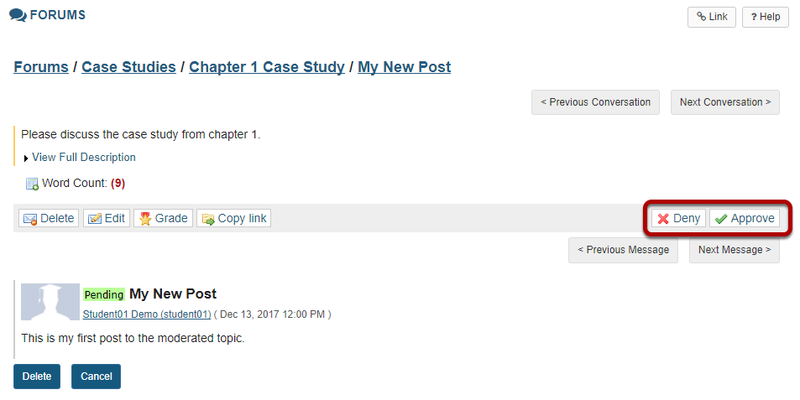 A moderated discussion allows the instructor to review and approve a discussion posting before the participants may view the post. When a discussion is moderated, each message submitted by a participant must be reviewed and approved before other participants may read them. Select the Forums tool from the Tool Menu in your site. Click Topic Settings to moderate a particular Topic. Check the box next to Moderate Topic. 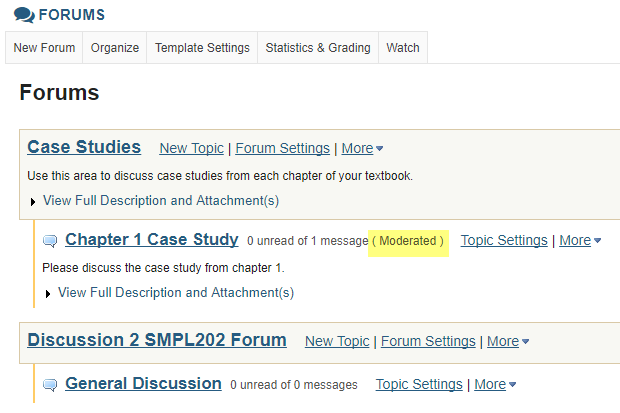 Select the Moderate Topic option in the settings and then scroll down and click Save. View moderated topic in forums list. 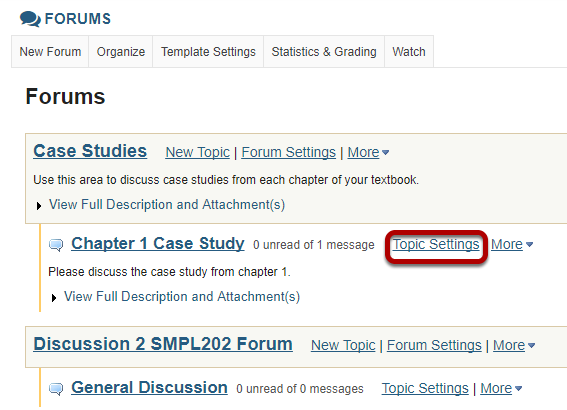 Moderated topics will have the text (Moderated) shown next to the title of the topic. All messages pending approval will display Pending highlighted in green next to the message. Click on the title of the message to view it. Approve or Deny pending posts. Zoom: Approve or Deny pending posts. Click either Deny or Approve to moderate the message. Approved messages will be visible to the rest of the site participants. Denied messages remain visible to the instructor only. Prev: How do I delete a forum post (i.e. conversation)? Next: How do I grade discussion forums?